The Dandy Town Hornets and the Southampton Rangers have booked their tickets to the Friendship and Shield Finals on New Years Day following their victories at the Devonshire recreation Club. The Dandy Town Hornets have claimed the first spot in the Friendship Trophy Final following their 2 – 1win over the Boulevard Blazers. The Dandy Town Hornets more so Kwame Steede was gifted the lead in the 5th minute when a cross should have been clear, but a defender decided to let the ball go and it found an unmarked Steede at the back post and he calmly placed the ball past and advancing goalkeeper. The Dandy Town Hornets would double their lead in the 38th minute when former Boulevard Blazers player Angelo Simmons scored. 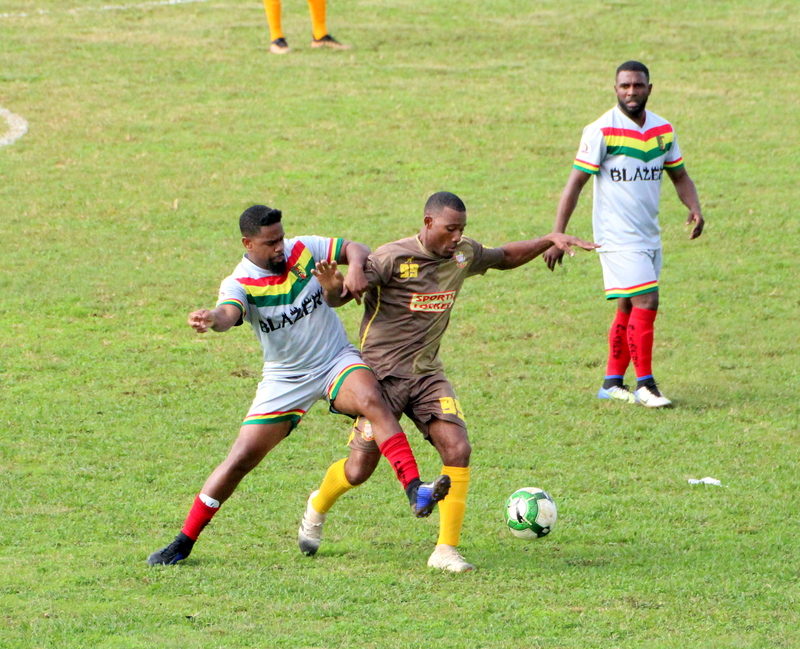 The Boulevard Blazers would however get themselves back into the match in injury time of the first half when Takeyhi Walker converted from the penalty spot. The second 45 minute resulted in no goals but plenty for spirited play from both teams, the Dandy Town Hornets now wait the second Semi-Final to determine who they will face off against at the Somerset Cricket Club. The Southampton Rangers will look to defend the trophy they won on New Years Day 2018 at the Wellington Oval when they take to the field on New Years Day 2019 at the Somerset Cricket Club. The Southampton Rangers looked to take control of the match early and did so when they scored in the 26th minute when Cardel Henry scored. Both teams would battle hard in the midfield for the rest of the half as the Southampton Rangers took the lead to the break. The Somerset Eagles created a few second half chances, but the game was put away in the 90th minute when a cross was slammed home by Isaiah Taylor, Somerset Eagles goalkeeper Lorenzo Lambert did manage to get a hand to the ball but he could not prevent it from going in the net.